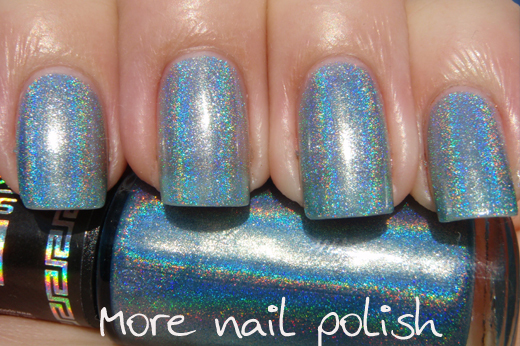 Sorry I skipped the rest of the Hits Holographics, I got a little side tracked with the top coats and new Ozotics. Only a couple to go, which I will finish up with this week. Here is Hits Holographic Poseidon. 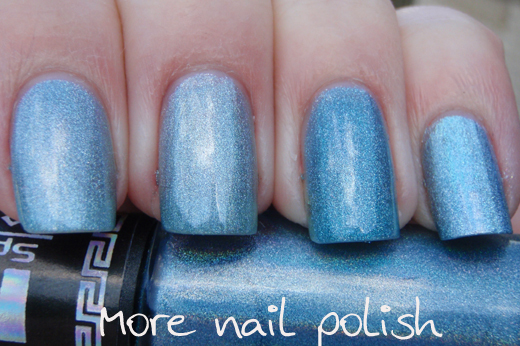 A pretty light blue holo. This was two coats and there is a tiny bit of a nail line in the photos that really wasn't there in real life (I swear!). This is how it looks in the shade and indoors. 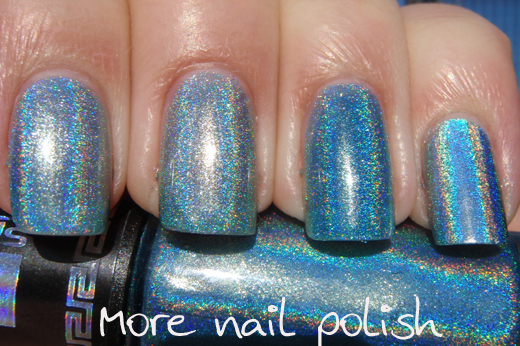 Next a comparison with the other blue holos I have. From left to right Poseidon, Ozotic 512, Ozotic 515 and Nfu Oh 65. First in the shade. And now in the sun. The formula was beautiful on this one and applied smoothly with no bald spots. 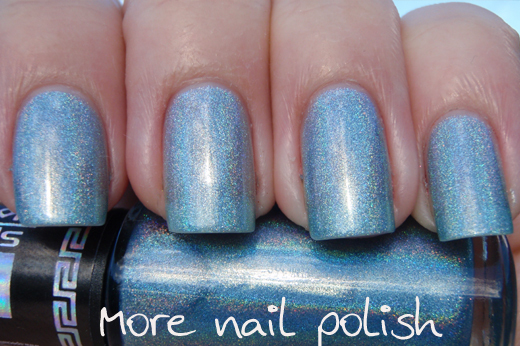 Not a unique colour, but certainly worth adding to your list if you don't own a light blue holo yet. 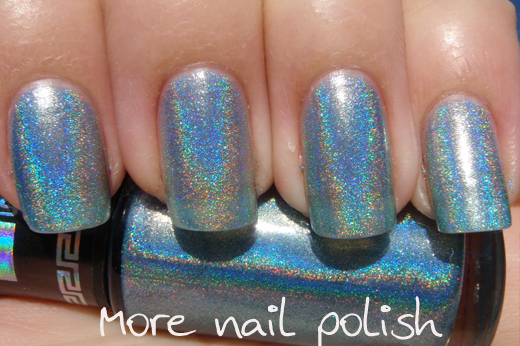 gorgeous but another light blue holo is not my priority! Beautiful color! Do you know where this set can be purchased from? 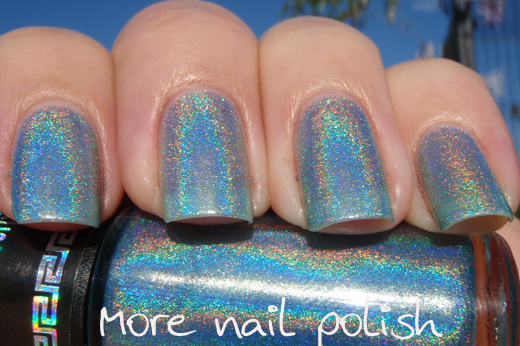 Another gorgeous polish from Hits!!! 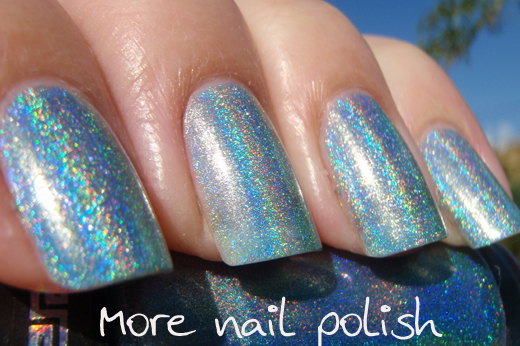 I'm just awaiting for the sunshine to use my Holos!! This brazillian one is awsome!!! 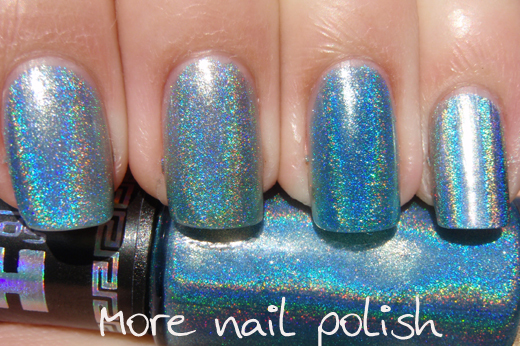 "I love blue holos," she said with a dreamy sigh. They look identical in the shade. Mr. Sun plays well with them though!